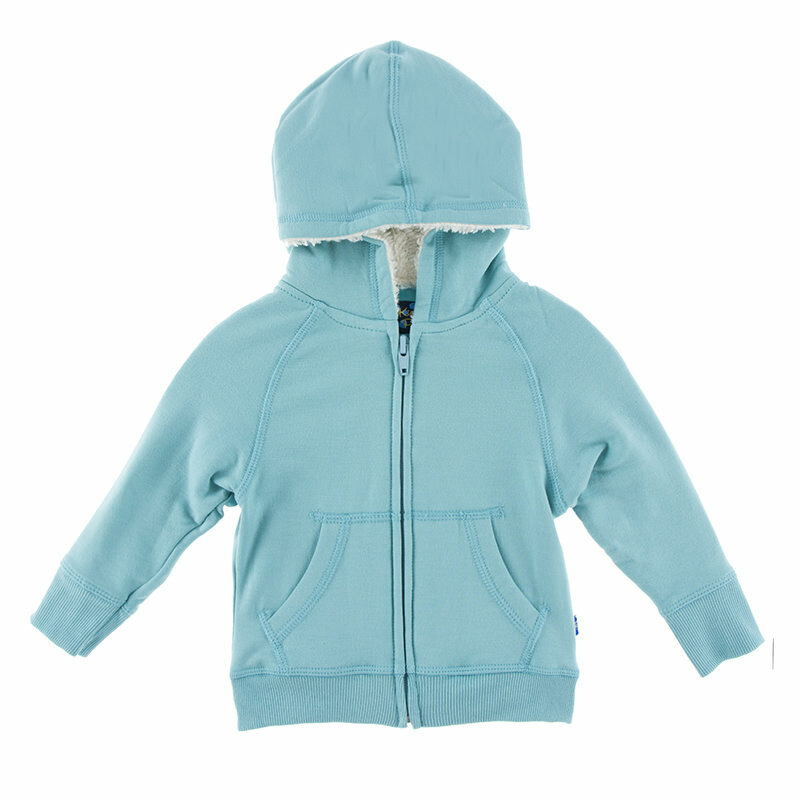 This cozy and warm sherpa fleece hoodie is perfect for those chilly days. The hood is lined with sherpa while the rest of the hoodie is lined with fleece. Bamboo is perfect for children with sensitive skin and allergies. 68% bamboo, 27% cotton, 5% spandex by Kickee Pants.